Refer a New Camper and Earn $75! 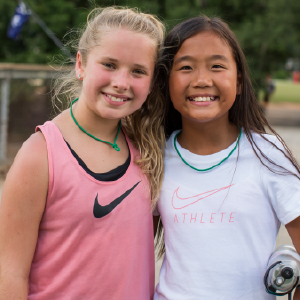 Your child has experienced the life-changing power of camp, and you have the chance to give their friends, neighbors and schoolmates the same opportunity! When you refer a new camper and invite them to TAKE FLIGHT at Camp Thunderbird, you’ll receive $75 after they start their first day. IT’S SIMPLE TO REFER A FRIEND! Encourage your friends to register their children for camp. Once your child and the referred child have both attended Camp in the summer, your account will be credited with $75. There is no limit to the number of credits you can receive, recruit multiple new campers! *A new camper is a non-family member who has not attended Camp Thunderbird overnight camp within the past 3 years. Let Us Help You Ramp Up Your Referrals! Invite friends to a gathering in your home or other location; Camp staff will help lead the discussion. Attend Camp-sponsored events in your town or at Camp. Bring a friend with you to Tour Days and Open Houses at Camp.